Restaurants depend on the connection between food and love. If you understand how this works, you can use love to boost your restaurant’s profits! Food is known as something that gives people pleasure and makes us feel good. Celebrating with other people and providing food for other people is one of the most universal expressions of love. We often reward each other and ourselves with special food treats to feel good about ourselves. We all know that restaurants plan an important role in dating and romance for couples of all types. 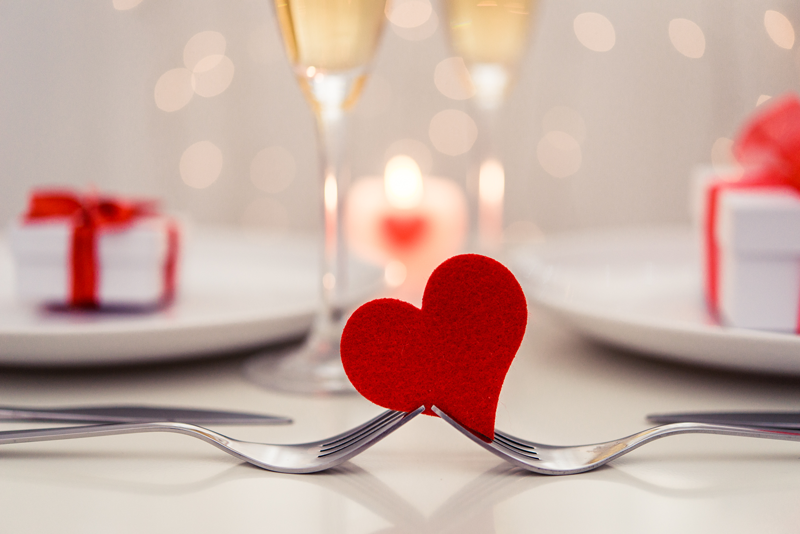 Does your restaurant cater to lovers? Do you have a special corner table with muted lighting where couples can enjoy an intimate date? Marriage proposals in a restaurant can be so romantic. Make sure your customers know that you are ready to help them to create a magical moment with soft music, champagne, and someone with a camera on hand to record that wonderful ‘Yes’ moment. You can be sure that any couple that gets engaged in your restaurant will come back to relive that moment on their anniversary for many years to come, and of course they will tell their friends! Creating memorable meals in your restaurant is one way to keep couples returning again and again. Consistently good food and excellent service are regularly rated as important by restaurant customers everywhere. But you can make them love your restaurant even more! Everyone loves the feeling of receiving a discount or winning a prize. You can make your diners feel loved by inviting them to sign up for your customer loyalty program and receive discounts on future visit. If they are reluctant to do so, tempt them with special prizes with the Spin to Win app. It’s a simple game that diners can play on a tablet or iPad at their table in your restaurant, where they compete to win a free gift on their next visit. Help your customers to feel like winners and they will keep coming back to eat in your restaurant. Encourage them to fall in love with your food and your special offers, and they will become loyal customers who love coming back for more! Click here to find out more about the Spin To Win Diner’s App and customer loyalty program. Sharing on Social Media – Making it Profitable!